The issue of retention in the Armed Forces is currently being debated both in official circles and on blogs, twitter and online forums. One hears of proposals for increased financial rewards, of staggered career benefits, flexible working, ‘revolving doors’, lateral entry, industry experience, career breaks. 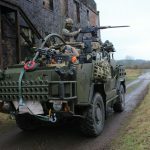 While recognising that some of these proposals are being studied under Project CASTLE, the Army must realise that it can effect retention-positive outcomes through some simple organisational changes. I will explore three of these below, focusing on retention in the Army specifically, and in the context of potential increased career length brought about by changes to the Army pension scheme. Infanteers, especially guardsmen, be warned: you should be seated before reading any further. 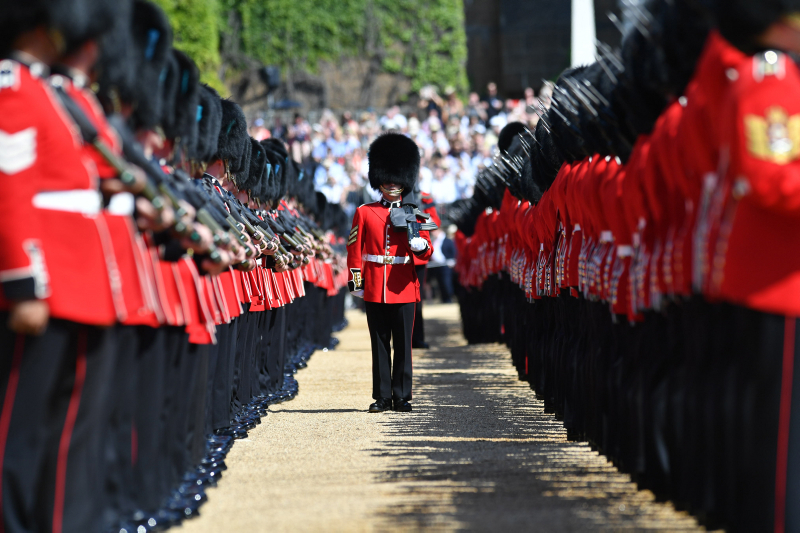 Having served in various units that have had the chance to carry out public duties in London, it is clear that both soldiers and officers hugely enjoyed the experience. Not only do they get to spend time in London, but they get to parade in front of their friends and family, see a different part of the Army and operate under a very steady and predictable routine. I once knew a soldier whose most cherished Army memento was a 5 pound note ‘tip’ from the queen, which was duly framed and hung above his bed. Some would argue that people are disappointed when they don´t see the familiar red tunics and bearskins, and that this might lead to a decrease in the appeal of the changing of the guard that draws so many tourists. The solution? Retain the uniforms, ditch the units. Or more specifically, make public duties a pan-army activity that any soldier or officer can volunteer for on a 6-month posting. This would have the added benefit of freeing up combat troops currently employed in non-operational roles. The ‘public duties’ unit in London would simply become another pan-army unit where personnel rotate through (similar to an Army Training Regiment). The uniforms, accoutrements and drill would remain the same (although perhaps with a new all-purpose cap badge), so that to the outside eye nothing has changed. Imagine how valuable this would be for CO’s: They could offer a 6 month posting in London to soldiers who might be thinking of resigning, bored by the same routine and lack of opportunities. Or as a reward for personnel who have been particularly busy and who need some stability. The ceremonial aspect of public duties, as demonstrated on countless occasions, can be conducted by anyone in uniform. And ultimately nobody, least of all civilians, should care that what is under the bearskin is a gunner, a chef or recovery mechanic provided they can stand tall and be a proud representative of the Army. A foreign officer working in Army HQ recently said to me: ‘I can’t believe your Army is prepared to rotate every officer around every two years just so you can generate a young CGS’. Although not strictly the whole picture, his comments mirror a recent Army publication: ‘The officer career structure is shaped for and shaped by the minority who reach starred rank, and who display that potential at the start of their mid-career point’1 With the new pension scheme taking officers up to (potentially) the age of 60, where’s the rush? 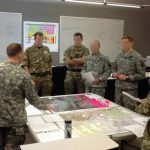 Compared to most armies around the world, we still have a relatively short career length which means we must generate sufficient KSE in officers to ensure they can promote and fill more senior positions in a much shorter time frame. This makes it much harder for an officer to gain in-depth KSE in any particular field and adds to the disruption of projects which have a much longer shelf life than the average posting length. It is an unofficial rule that one spends the first six months in a new posting understanding the job and the work of your predecessor, a year in the saddle actually doing the job, and six months thinking about your next post (the time when you can actually add the most value). Wouldn´t it be useful if we could extend that ‘middle’ period for two or three years? I have spoken to many officers who, aside from the added personal benefit of less frequent postings, would welcome additional time in post to truly become experts in their field and be able to see projects through to completion. Imagine a scenario: a subaltern joins his (non-combat) Regiment after Sandhurst and goes on to be an excellent officer. He comes into the top 10% of each of the pan-Army mandatory career courses, from Military Analysis module A to Higher Command and Staff College. He commands his troop, sub-Unit, Regiment and Brigade successfully, and is well regarded for his professional standards, personal touch and leadership style. His combat arms peers then get selected for promotion, based on their own experience, at which point what was an extremely promising career comes to an end. Then imagine an equivalent scenario in the civilian world: you work for a firm with a strong international brand, which is praised for its progressive attitude towards women in the workplace, LGBT and BAME issues, proven track record of in-house training and personnel development. Then you find out that, despite ‘opportunity for all’ writ large in the firm’s brand attributes, only certain career fields (yours not being one of them) will allow you to rise to the top of the pyramid, irrespective of quality. Not only that, but you are then told that the company is looking to import outside talent from other industries (be it management of complex acquisition projects, cyber, communications, logistics, etc). Not exactly a model for retention. The Army reporting system is currently a subjective process, with employers declaring the quality of the officer they need for their posts (WTE (top 10%), top, middle or bottom third). These posts are then further refined by the Army Personnel Centre to ensure that critical jobs are filled first, with a descending order of priority thereafter. The assumption, one must believe, is that a ‘top third’ candidate (graded purely on his last two reports, within a narrow peer group) can perform any job, irrespective of actual experience. A ‘bottom third’ candidate, even if he has the right KSE, would not be suitable. The personnel appraisal system must become more objective, doing away with personal details and anything other than professional background. Reports could then become more ‘points-based’, the points being awarded for completion of courses, operational experience, languages, attainment of specific KSE, etc. which could be directly linked to a post. Doing away with wording like ‘combat preferred’ for E2 (non-cap badge specific) jobs should be a priority, otherwise there is little point in grading officers against their peers across the Army. A points-based system which recognises KSE and qualifications would force changes to continuous professional development. ‘Brilliant’ Officers who neglected to improve their education throughout their career would find it harder to move up the ladder. 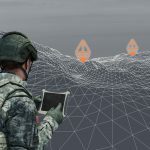 Conversely the demand for ‘points’ would force the Army to create courses to cater for specialist career streams, all of which could be mapped across to recognised civilian qualifications. With increased career length, there will be plenty of time to attend these courses. The Army looks to the civilian world and industry for inspiration as it tries to solve some of the ongoing issues surrounding retention and talent management. Before looking to the outside for help though, it should take a hard look at what organisational changes lie within its grasp to make a significant difference to retention and talent management. Otherwise no amount of civilian input and experience will affect an organisation unwilling to look these issues in the eye. Andy is currently serving. He has served in a variety of Units in Germany and the UK, as well as on the staff at a Divisional HQ. He has completed two HERRICK tours and has attended an Overseas Staff College. Historical Branch (Army), Jan 19. ‘Historical analysis supporting potential Army personnel changes in the Project CASTLE programme’, p10 para 7.